I'm not really sure how to put a race report together for the BT Epic. Yes, there was a start line and a finish line and number plates and timing. But I never really felt like it was a race for me, and I mean that in a good way. The weekend felt more like an event (hence the post title), almost a mtb tour for me, and despite the perceived lack of competition, it was the perfect ending to my 2012 season. 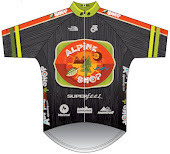 I rode down to the race (Bass River Resort) with Jeff of Alpine Shop adventure racing fame, and shared a cabin with him and his AR teammate David. I wasn't planning on staying in a cabin but the weekend's chilly weather made me really glad I had a roof over my head. It was cool hanging out with "the boys" and nice to have other equally-obsessive people to bounce ideas off of before the race, especially regarding calories and clothing. I had planned on riding in just shorts and a long-sleeve jersey but after Jeff mentioned that he was wearing his winter mtb shoes, I started to reconsider. I ended up wearing normal shoes, normal socks, knee warmers, shorts, a thin wool t-shirt, a long-sleeve jersey, my pack, a borrowed shell from David, and borrowed gloves from Jeff. This combo kept me really happy all day, starting with the 32F temps at Bass and then finishing around 55F. I planned to consume about 1900 calories and got just about everything down. 3 bottles of 280cal IMPerform (CarboRocket Half-Evil is out of stock...BOOOO! ), fun-size Snickers bars, a Honey Stinger gel, 2 mini cans of Coke, and most of a flask of LiquidShot. I shared some of my Snickers with a guy who was bonking on the ride up to Berryman Campground. I also needed 8 e-caps to fix my cramping problems later in the race (more on that later). I didn't use a bento box (for a selfish reason, I wanted to stare at the "pedal damn it" on the top tube instead of covering it up) and instead relied on my new pack's accessible pockets. They worked okay, but a bento is still way better. Start line. Note the frost still on the grass. I was wayyyyy back in the pack. The start line was a flurry of saying hi to friends, trying to fix Jeff's tire which had suddenly gone flat, and staying warm. Scott and Jake had a few announcements and then we were off. I was way in the back of the pack but totally content to just roll the first 5ish miles on gravel. I still rode harder than I should have, but I did warm up quite quickly. From the start my legs didn't feel great but they weren't terrible either. The low sun angle at the start, combined with our easterly direction of travel and the layer of shiny leaves on the ground made visibility rather difficult for the first hour or so. I was in a crowd the whole time, but didn't really mind it, even when we all got stuck walking up a climb. My attitude is, you can do yourself a lot more harm than good in the first 1-2 hours of an endurance mtb race, so I just focused on riding smooth and in control. Porta-potty at the start line, before it got delivered to the Brazil Creek aid station. Yep, we're in central MO. The Brazil-Berryman section was also good for me, I kept "just riding along" even as the crowd started to thin out. I stopped to take off my shell jacket at some point, and to pee. Rolling into Berryman Campground meant the first third of the race was done, and I was greeted by a huge round of cheers from TTM and company. That felt really cool, and there was even a volunteer (Teresa, was that you??) to help me with my drop bag. I deposited my jacket, swapped bottles, and was gone. I hadn't lost any more time on that section so was still 10 minutes behind my goal. Drop bags all lined up at Berryman Campground. 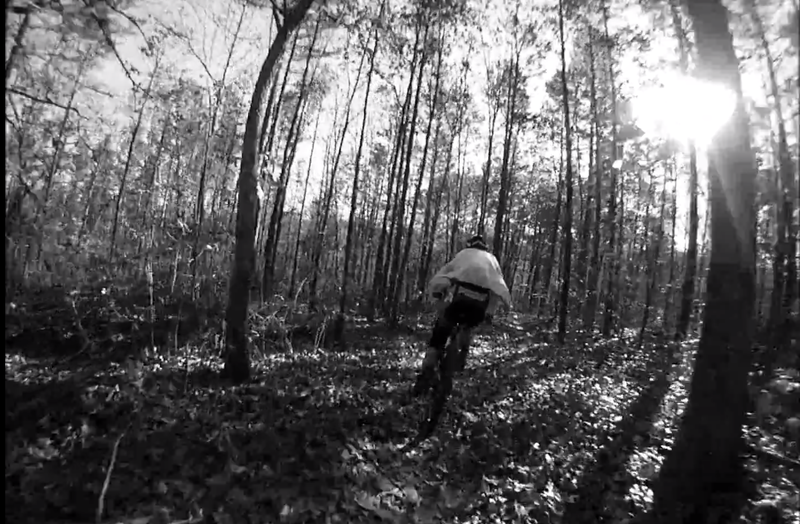 The second section is the "South Loop" which is 10 miles of OT singletrack and 7 miles of gravel road. Except, I added some distance when I blew past the left turn-off for the OT just past Berryman Campgound. I knew about the turn, Hunter and I had ridden it the weekend before, it was marked well, but I still missed it somehow. After a few hundred meters, the jeep trail stopped "feeling right", but a couple of riders around me kept going so I followed them. Minutes later, we see a CROWD of people (seriously, like at least 10 riders) riding back at us so we all turn around and backtrack to the correct turn. The whole ordeal was probably about 5-6 minutes. Soon I was on the OT and pulling a train of guys behind me (yes Pryor and Busken this really did happen, quit laughing). I felt fast and their presence made me push harder. I walked the bridge over Lost Creek and then through the sandy section. The rest of the South Loop I tried to push the pace and hang with guys when I could. I saw no women so I had no idea where I was in that race. But, it didn't really matter to me since I was having fun, riding an awesome bike, and enjoying a great trail. The gravel back to Berryman Campground was fine too, although I rode it alone and was wishing for a buddy to trade pulls. Back at Berryman Campground to start the last section, I had lost another 10 minutes on the South Loop so now I was 20 minutes down from my goal split. And again, this didn't even bother me. I saw one girl (Melissa) that I knew of from AR at the checkpoint, and knew that she was fast. She seemed to be taking her time "in transition" so I tried to hustle, downing a mini-coke, stuffing another one in my pack, swapping gloves and bottles, and loading oreos in my pocket. She was still there when I rolled out and I congratulated myself on the quick stop. I hit the singletrack and was still not feeling great, but not feeling terrible. Pretty soon I heard wheels roll up behind me and as usual, I asked if they want by. But, this time, it was a girl's voice that answered and sure enough, Melissa had caught me. I let her by and decided to stay on her wheel for the rest of the race. That worked for awhile, except I started cramping and decided to stop and load up on e-caps to fix that. I basically tried to spend a penny now to save a dollar later, or however that phrase goes. I also chugged the rest of my bottle and discovered that my 2L CamelBak was dry. Thankfully, "the bathtub" (aka Beecher Spring) was only a few minutes up the trail so I knew I could refill there. Even though Melissa was out of sight, I told myself that even just a 30- or 45-second gap is out of sight on twisty singletrack, so keep riding as strong as possible and maybe I'd catch her. Screen grab (of me!!) from the youtube vid above. The singletrack continued onto a new re-route that added maybe a mile or two to last year's race course, but bypassed a notoriously muddy/gross section of trail (the "peanut butter section" according to Jeff). I'd ridden it before but it still seemed long and the new trail was still quite jarring on my hardtail. Finally, FINALLY, it dumped us back into Harmon Spring. On the climb out of the Spring, I drank a mini-can of Coke (yes, while riding, I'm very proud) and even though I hadn't seen Melissa yet, I was still quite happy to be on my bike. The gravel back to the finish was tough, but I caught a pull for maybe a mile from Josh of Walt's Bikes which was motivating. Then he was too fast so I cruised the rest of the way back to Bass and finished in 6:33!! 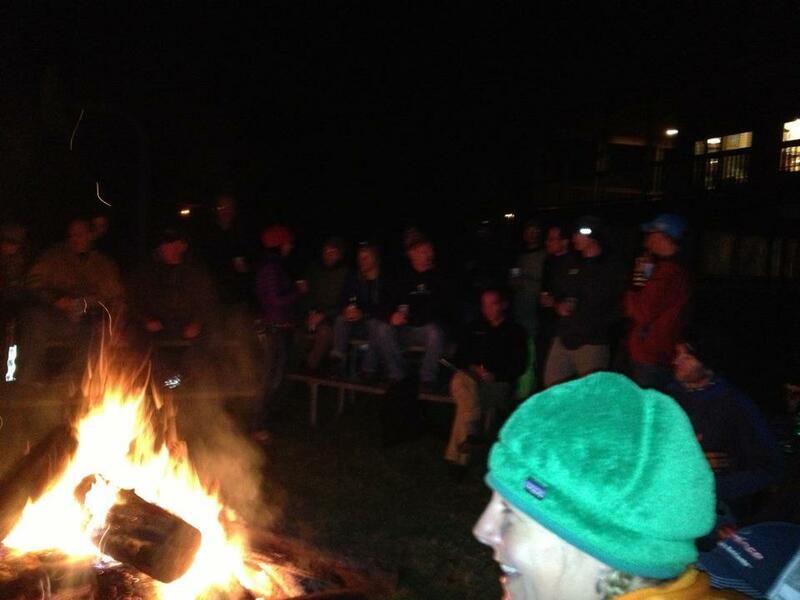 The huge fire, Courtney's green hat, my FE hat, and a bunch of other people. The rest of the evening was really fun. Scott and Jake had a massive bonfire going so I cleaned up at the cabin and then returned to Race HQ for dinner, s'mores, and beverages. I caught up with all my people friends and even my dog friends; Hunter's awesome dog Middy acted like she remembered me and that made me super happy. I ended up missing my time goal by 33 minutes, which at first I wasn't really pleased about (although not angry either) but as I see others' finishing times, it seems like this was a slow year given the leaves and new re-routes (thanks for the improvements, GORC and OTA!). The awards presentation was awesome, tequila and whiskey included, and I won a mini-tool box and a 2010 BTEpic jersey in the raffle. Sweet!! The rest of the night was spent either at the bonfire or back at the cabin hanging out with our neighbors Keith, Courtney, Pryor, Busken, Mo, and a special appearance by Mr. TTM himself! The party even continued the next morning when Courtney invited me, Jeff, and David over for a delicious breakfast of (skinny) pancakes, eggs, and bacon! Amazing!! So, wrapping this up, I didn't have a mind-blowing result for the last race of my season. But, it wasn't terrible, and I didn't really expect greatness either. And, the more I look at my times given the perspective of the course conditions, I'm extremely satisfied. My fitness is on the decline due to the lack of training I've been doing in October. But that's expected, even desired, for me at this point in the year and given what I want to accomplish in the future. The BT Epic also gave me what I wanted from it: a reason to improve my technical mtb skills, an enjoyable day on the trail, and an enjoyable weekend with the STL mtb community. Check, check, aaaaaaaaand check. Amazors!! Can't wait til he gets in town! Loft party! haha I was only disappointed for a few minutes. really not that much at all. and now, I'm rather proud of my time given the conditions and my fitness. Ride on!